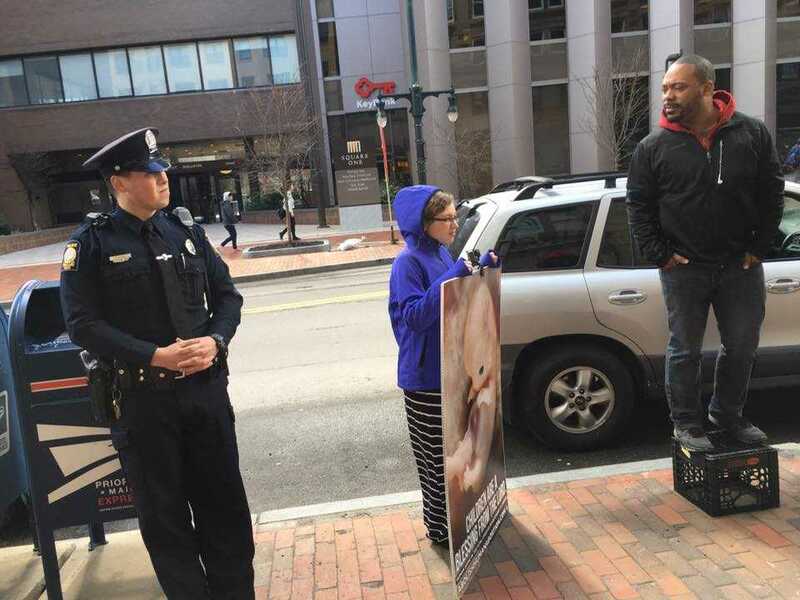 PORTLAND, Maine — A federal appeals court has overturned a lower court ruling that granted a preliminary injunction to a Portland pastor who asserted that he was being unlawfully targeted by police outside of a Planned Parenthood facility for his pro-life preaching. The Maine Civil Rights Act “is a facially content-neutral measure that targets noise for reasons that have nothing to do with any topic discussed, idea propounded or message conveyed,” Judge David Barron, appointed to the bench by then-President Barack Obama, wrote on behalf of the three-judge panel of the First Circuit Court of Appeals. “Moreover, by its terms, the measure serves that significant state interest without burdening substantially more speech than necessary and while leaving open ample alternative channels of communication,” he opined. As previously reported, Andrew March of Cell 53 Church had filed suit in November 2015 after Maine Attorney General Janet Mills, a pro-abortion Democrat, filed a civil rights lawsuit to keep Brian Ingalls from standing within 50 feet of the Monument Square Planned Parenthood facility—or any Planned Parenthood location in Maine. Ingalls is an elder at March’s church. However, on Tuesday, the First Circuit Court of Appeals overturned Torreson’s ruling, stating that they rather found the law to be content-neutral and that it does not ban abortion opponents from conversing with others, as opposed to lifting up one’s voice to preach—if in doing so the person’s voice can be heard inside the building. March’s attorneys have yet to comment on the ruling, but a fellow gospel preacher outside Planned Parenthood published a public social media post about the matter. “We don’t want special privilege; we want equal treatment under law. To enforce a noise ordinance against us would demand that every other group, with any other message, to be silenced as well,” Mark Cowperthwaite, who conducts his ministry alongside his wife and five children, wrote in part. “[T]hey can’t complain about our noise as long as they allow for other protests about global warming, school children marching against bullying, and gay pride parades, all of which are permitted to not only pass by and be loud at this location, but are also allowed to block traffic, walk in the middle of the road (with permits) and of course allow their own followers to shout and chant right next to us, and they do,” he said. Cowperthwaite said that it is the duty of every Christian to love their neighbor as himself and to preach the gospel to every creature.